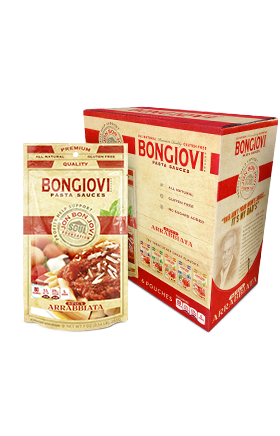 Bongiovi Brand Arrabbiata Pasta Sauce is for those who like a little spice in their lives. 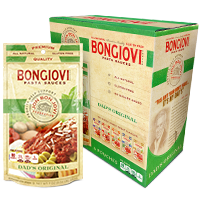 The fresh tomato and basil flavors are kicked up with just the perfect amount of a special pepper combination to accent, not overpower your meal. ITALIAN TOMATOES, EXTRA VIRGIN OLIVE OIL, ONIONS, GARLIC, SALT, BASIL, PARSLEY, CRUSHED RED PEPPER, OREGANO, BLACK PEPPER.